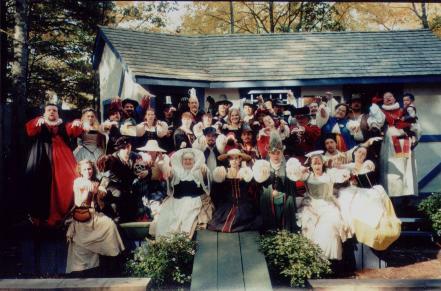 This is the on-line home of the King Richard's Faire Apprentice Program. Learn all about the faire's infamous "Zombie Slaves." WANT TO HELP FILL UP SPACE? In the meantime, missing photos will be replaced by pictures of "Frankenrennie" and "Frankenrennette" in order to ensure that everyone who was ever an apprentice gets a mention. This site is an "unofficial" site and has no official connection to King Richard's Faire and its parent company King's Faire Inc. This site is not intended to serve as a means of profit for its manager nor a promotional tool for KRF. The site is intended to serve as an on-line shrine to the hard-working apprentices who helped make the faire so much fun. So there, nyah. Who Are The Zombie Slaves?